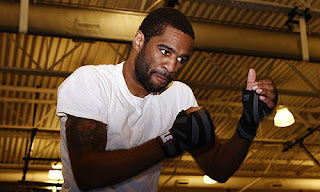 Amir Khan's rematch with Lamont Peterson may not go ahead as Lamont Peterson has tested positive for a banned substance. It hasn't been said what the banned substance is or when Peterson took it, so right now we don't know whether the fight will go ahead. Many things are uncertain now, but within the next 24 hours we should know more about the failed drugs test and whether we will be watching Khan/Peterson II, 10 days from now.